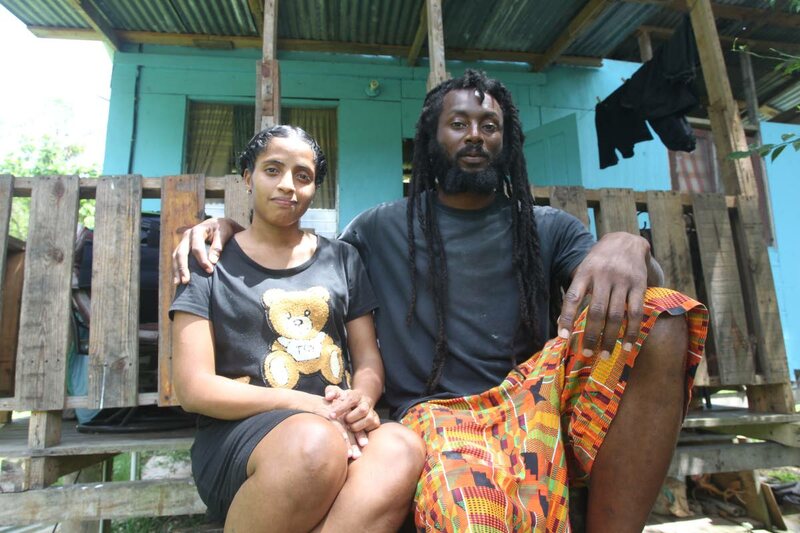 Alyssa Ramos and husband Shevon Joseph of Fraser Street, Rio Claro seeking public assistance to construct a home for their family. PREGNANT Rio Claro mother, Alyssa Ramos says since Newsday highlighted her family’s pleas for material to build a home, she has received pledges from several people. Ramos is seven months pregnant and she and her husband Shevon Joseph have three children, Ricardo, ten, Yelena, three, and Shevon Junior, one. Earlier this week, Ramos opened up about the hardships her family faces in making ends meet, as Joseph has been having problems getting a job. Joseph was last permanently employed at a furniture manufacturing plant in Caroni in 2016. Since then, Ramos said, he has worked odd jobs but does not always get enough work to meet their growing family’s needs. She told Newsday her brother had allowed her to stay in his small wooden house rent-free when Joseph lost his job about a year and a half ago. But two weeks ago, her brother told the family they need to leave. With nowhere else to turn, Ramos appealed to Newsday for help. So far, she said she has been promised assistance by several people but said she will wait to see if those promises are kept. “Honestly, I have a little more peace of mind since I got those calls from people saying they would help. If they come through it will be a dream come true for us to have a little something to call our own,” she said. The Glimmer of Hope Foundation also reached out to the family, offering to fill the book lists of Ricardo and Yelena for the new school term. “I just hope that things could work out for us this time. We are really struggling and I feel like if we get one little chance, things might work out,” Ramos said. If you would like to assist this family, you can contact them at 318-4973. Reply to "Help trickling in for pregnant mom, family"